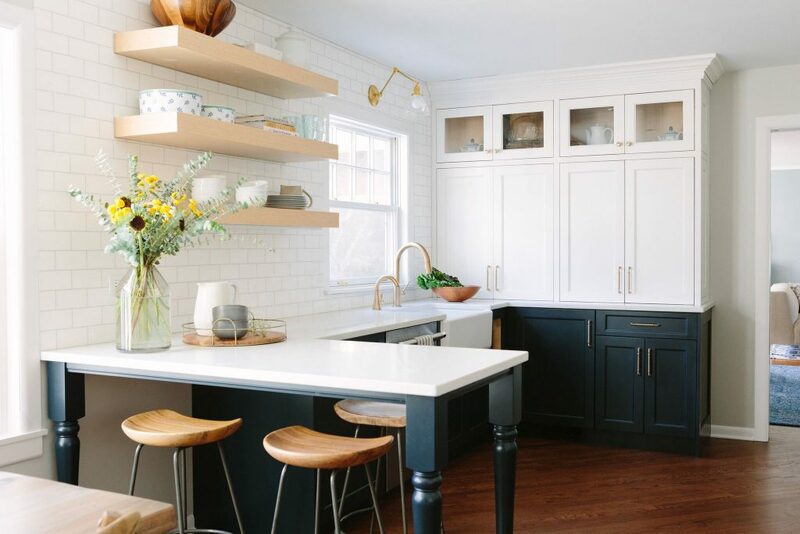 When it came time for Chicago native Michele from Hello Lovely Studio and her husband to choose a second home for vacation and retirement, picking the location was simple. 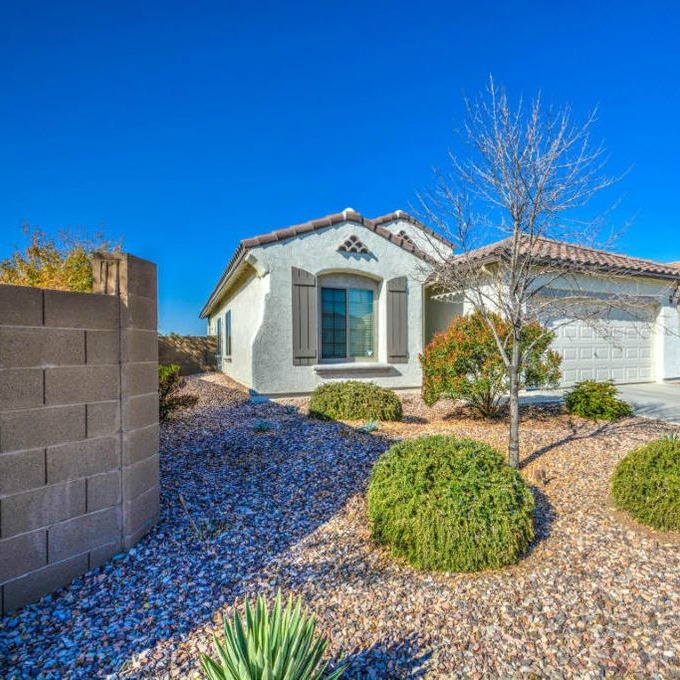 With year-round warm weather, open space and family living nearby the couple purchased a 4 bedroom Mediterranean style cottage in Arizona. 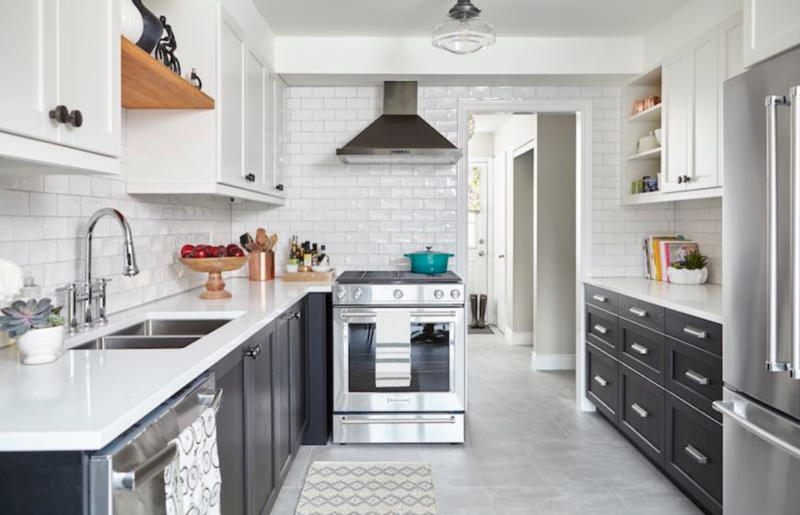 While the home was practically like new, it lacked the serene style and relaxing atmosphere they craved in a vacation home. 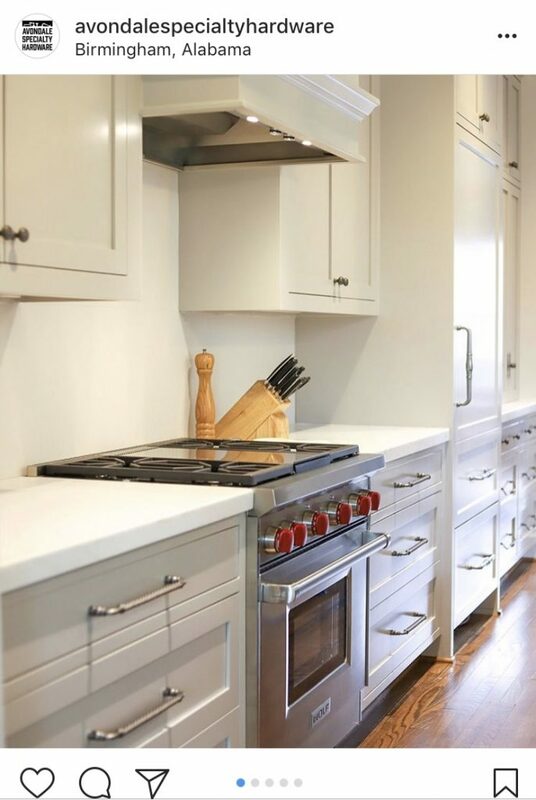 Cabinet hardware from the Top Knobs Aspen Collection helped transform the once plain kitchen into a French-Nordic inspired paradise. 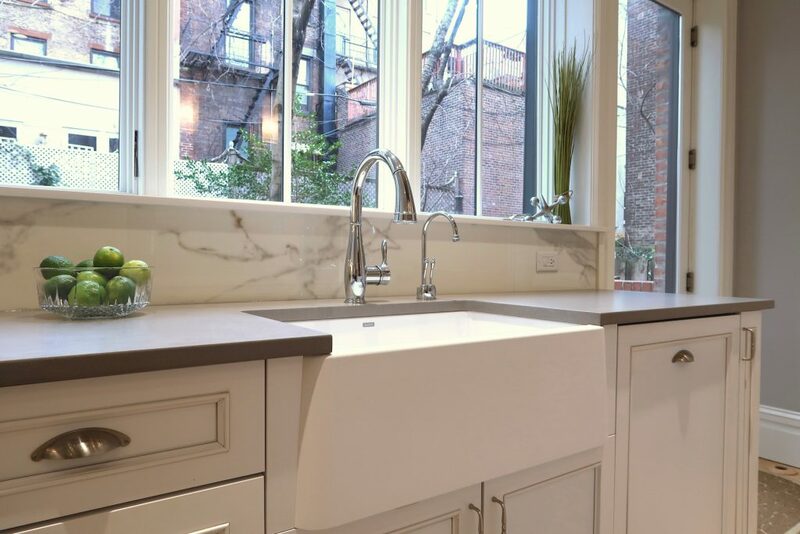 Having previously renovated her primary residence, Michele was confident that she could transform her kitchen all on her own. 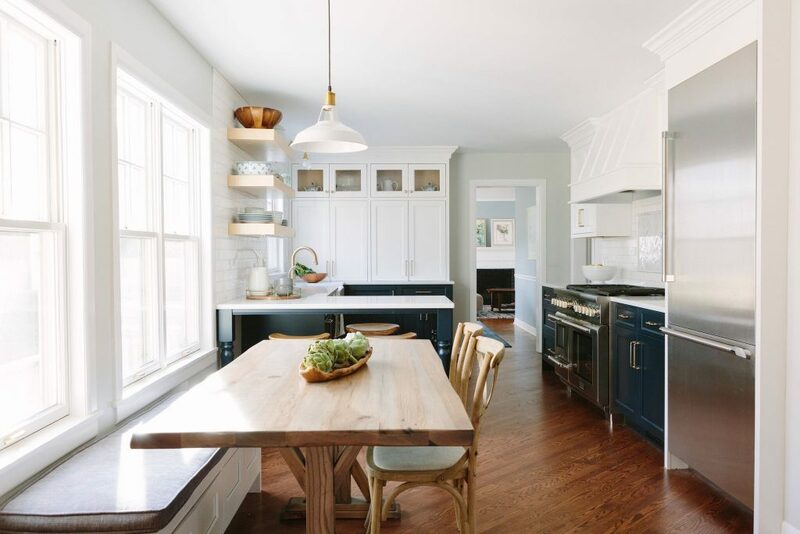 To start, the couple salvaged the old maple cabinets and painted them a soft European blue-grey color. 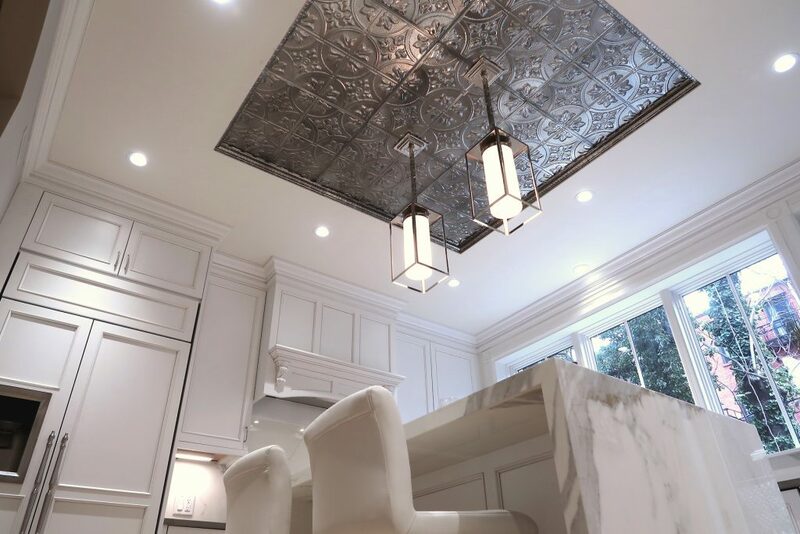 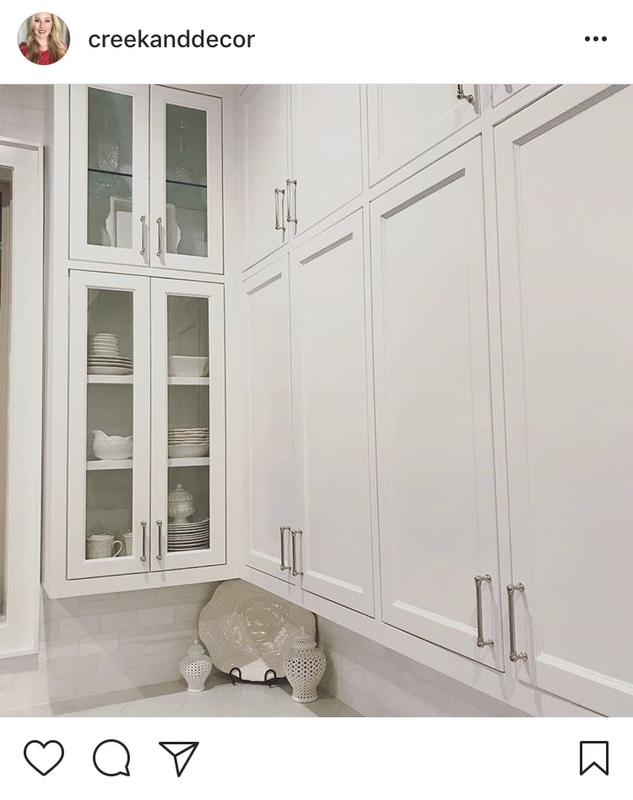 Since the cabinets stood short in a room with 9 foot ceilings, they added risers to the cabinet tops and installed crown molding for dimension. 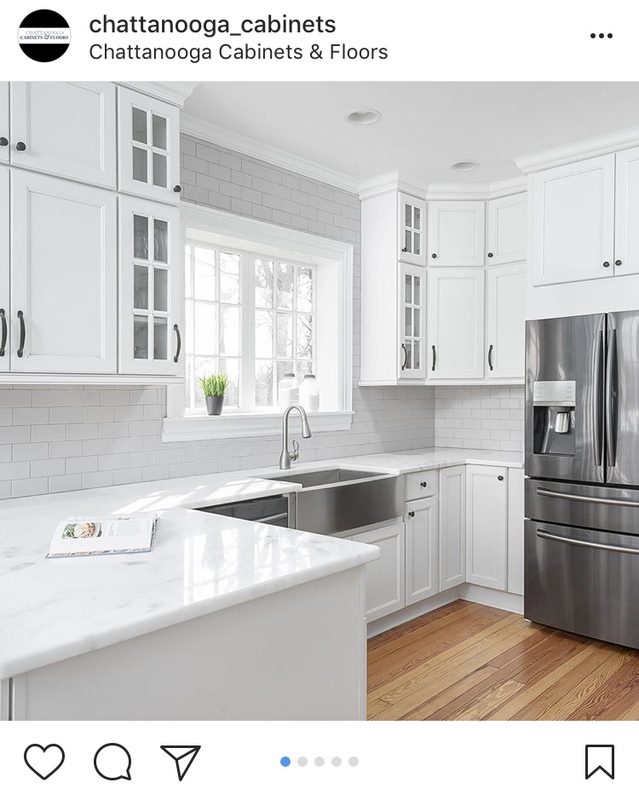 Michele traded in her dark colored appliances for bright, stainless steel. 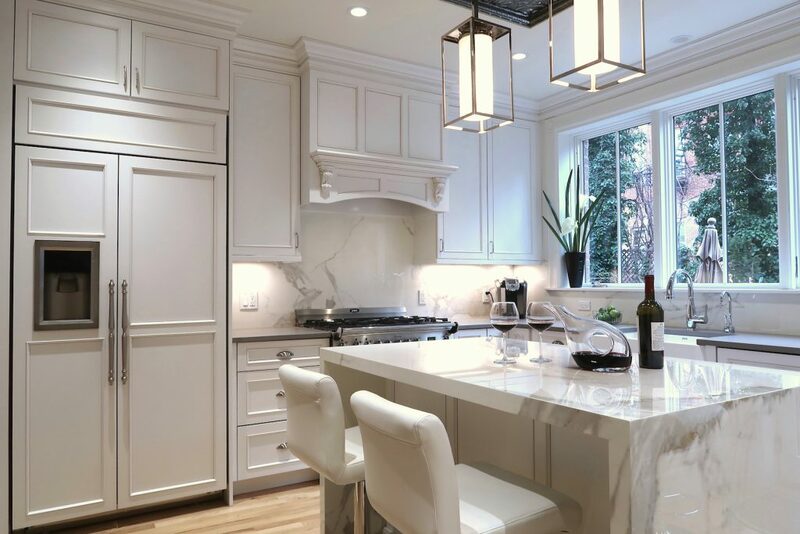 The once mottled brown laminate countertops were replaced with Quartz countertop accented by Calacatta gold marble wall tile. 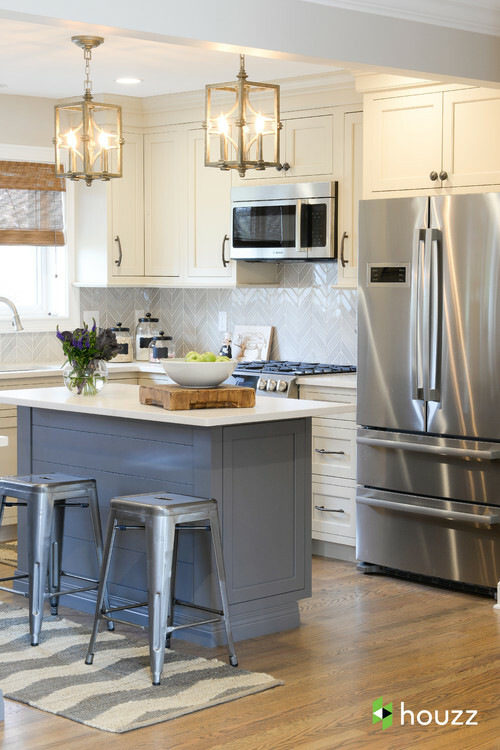 To aid in the chic, yet serene, charm of the kitchen Michele partnered with Top Knobs and installed knobs and pulls from the Top Knobs Aspen Collection. 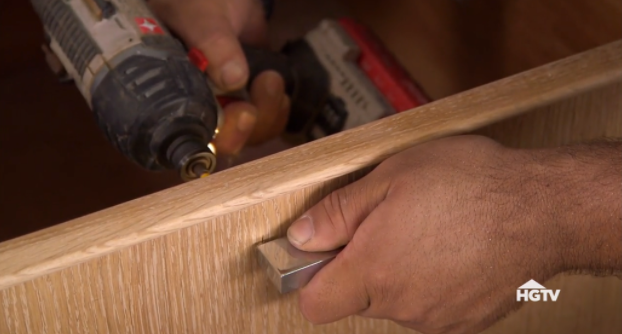 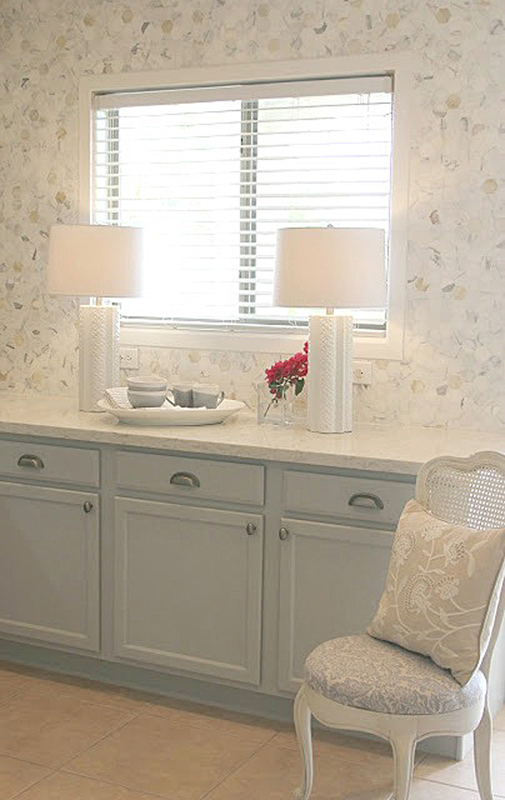 3-inch Aspen Cup Pulls were used on the lower drawers, while Aspen Potato Knobs were used on upper and lower cabinets. 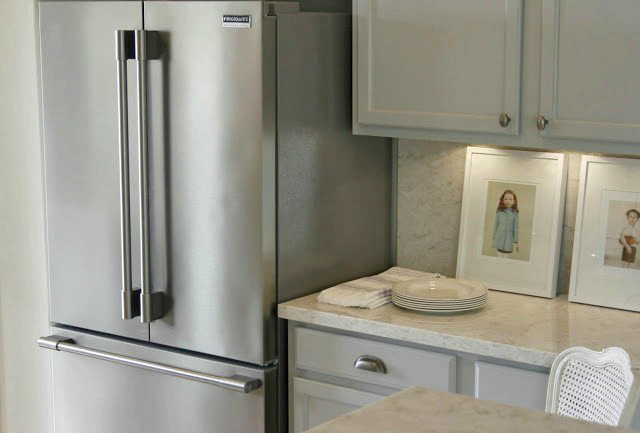 The subtle look of the collection added much needed style to the once bare cabinets. 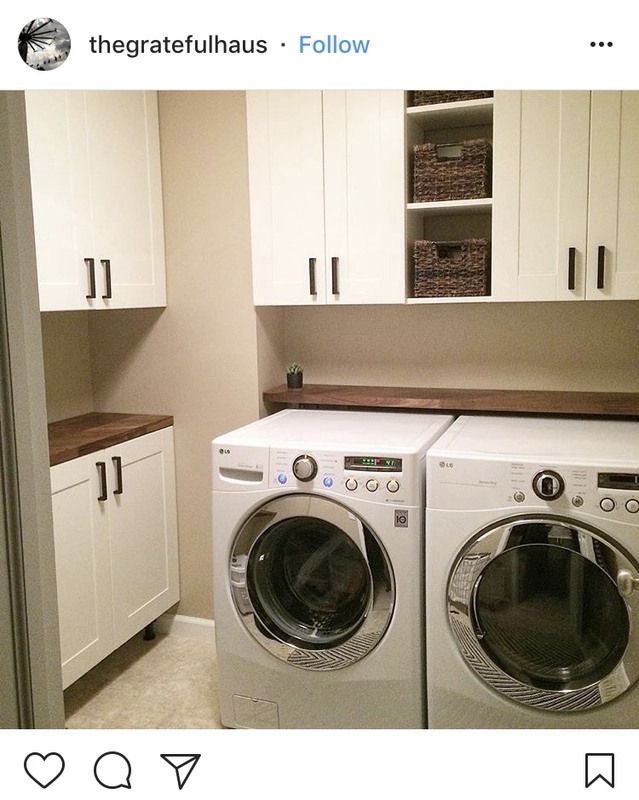 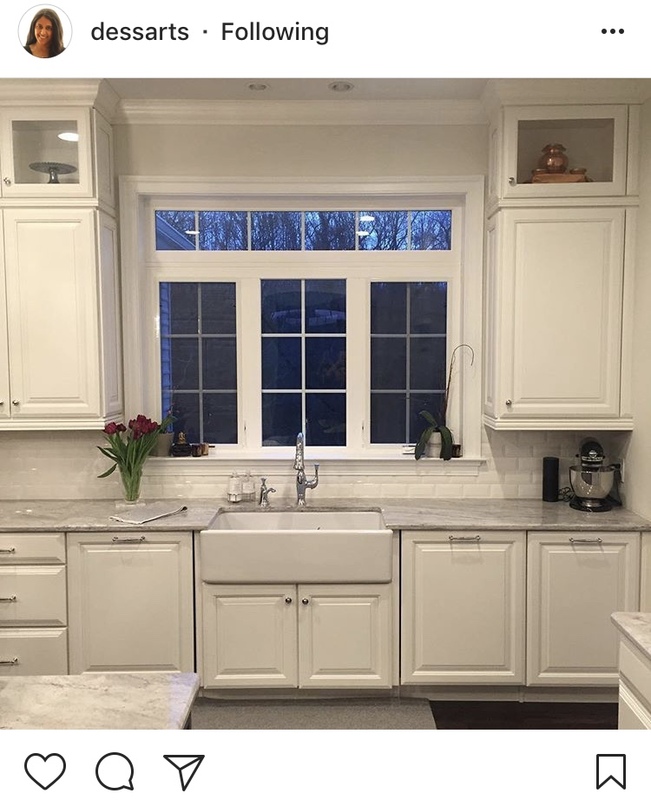 Thank you, Michele, for choosing Top Knobs for your kitchen renovation! 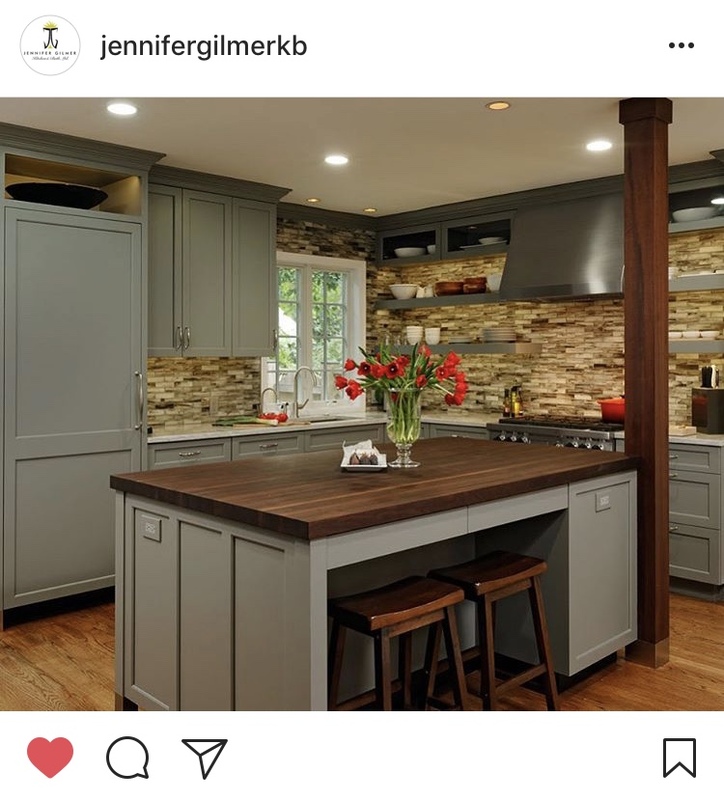 To see the complete kitchen renovation, visit her DIY Kitchen Renovation blog post here. 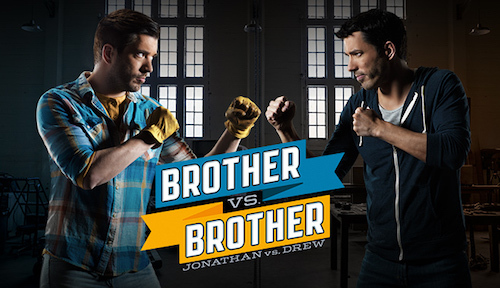 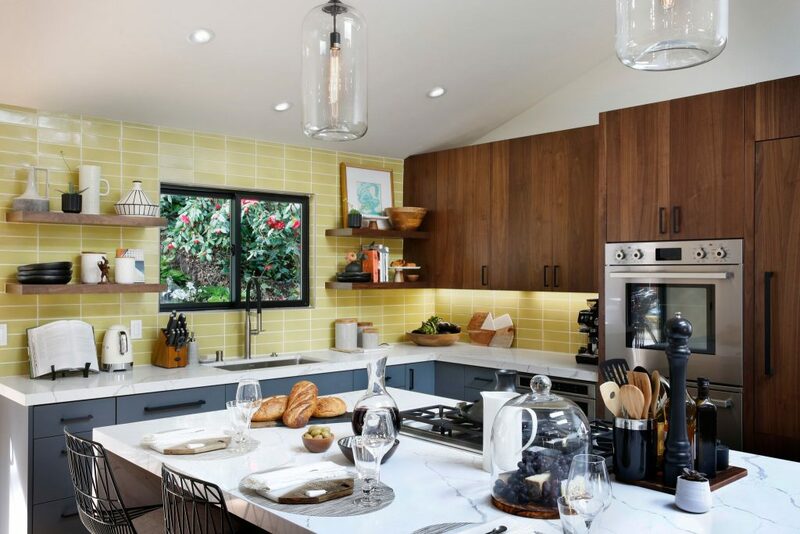 Designer Charmean Neithart had a challenge in front of her when she accepted a Pasadena California kitchen project. 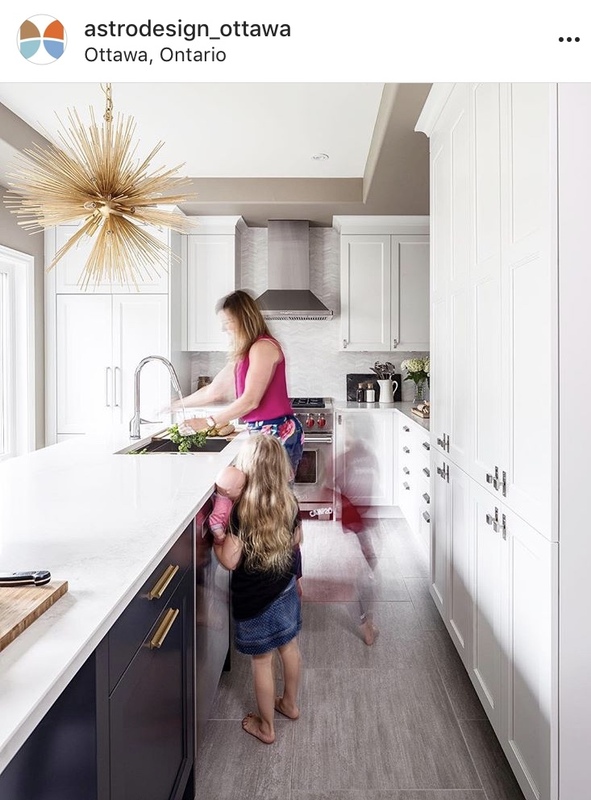 Her client, a couple and their twin girls, wanted a functional floor plan that allowed for two people to work side by side in a 10-by-11-foot kitchen. 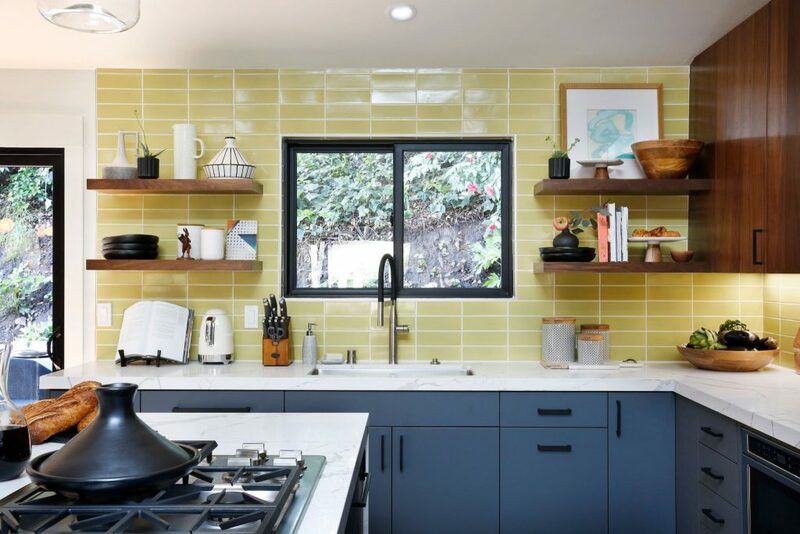 The result is a bright, open, colorful kitchen inspired by Italian pottery. 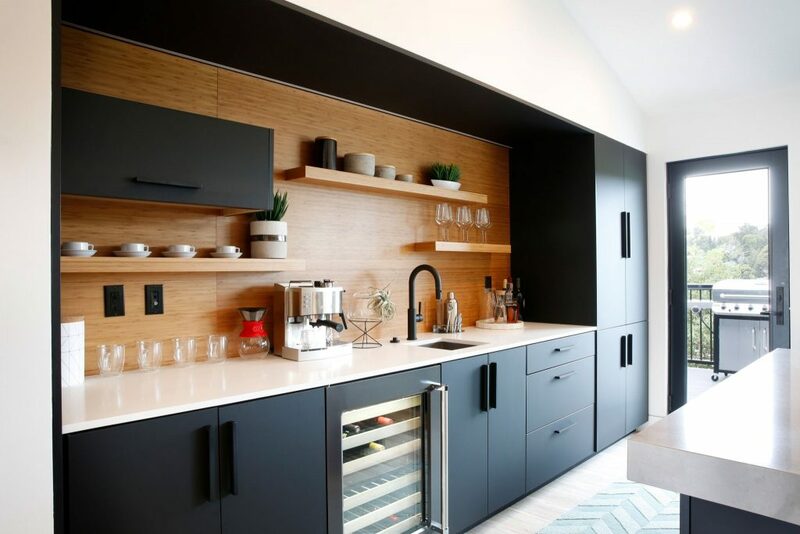 It is a design where counterspace and pantry storage are the priority. 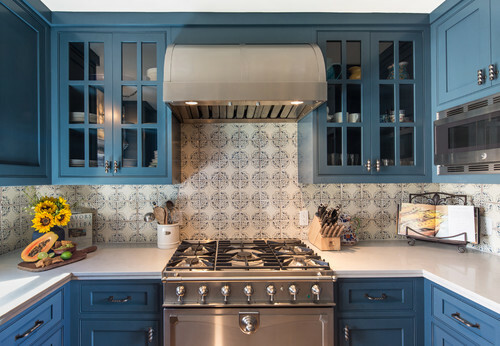 Hand-painted terracotta tile, a farmhouse sink, and blue painted cabinets accented with Top Knobs Normandy knobs and pulls complete the look. 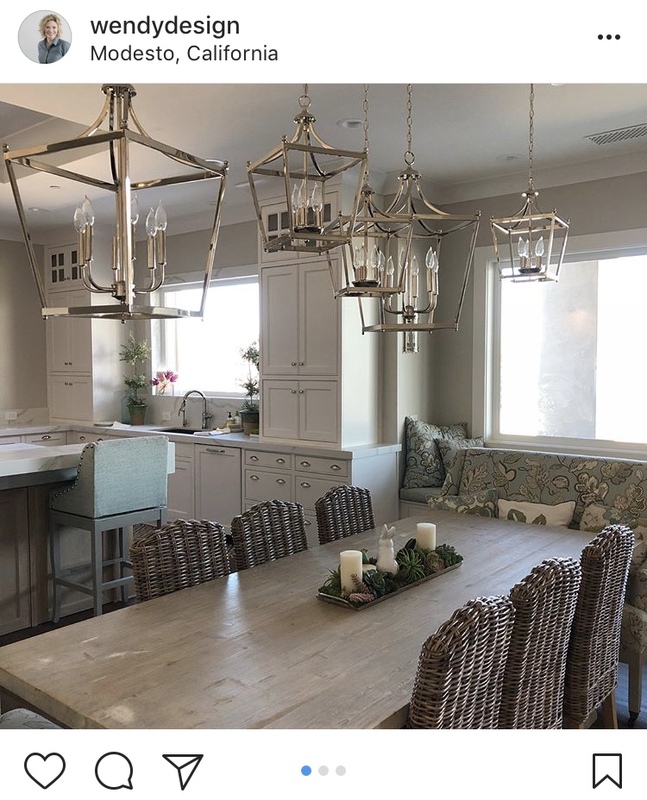 The rustic Top Knobs Normandy Collection includes a variety of birdcage and twisted wire designs – 7 pull, 11 knob, 2 ring pull, 2 drop pull and 4 different backplate styles. 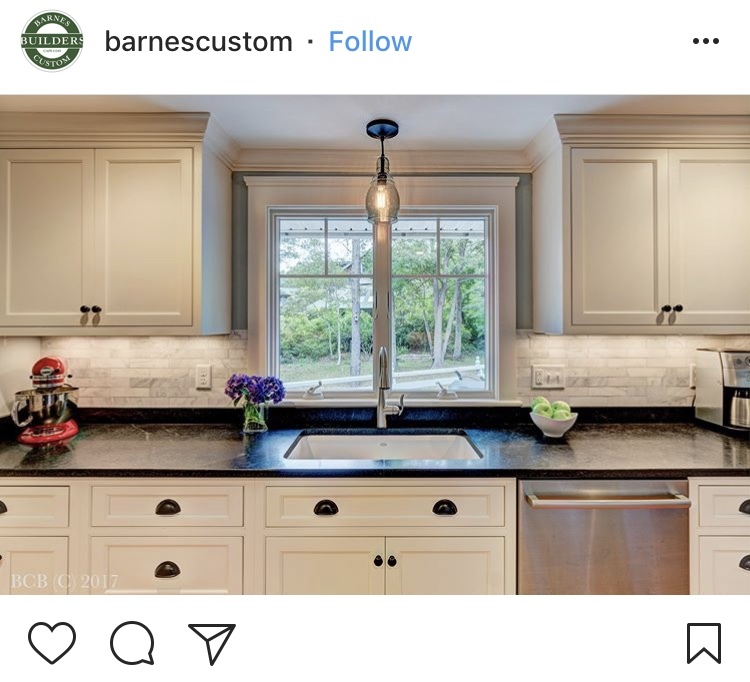 For this project 3 3/16″ Normandy Square Twist T-Handles in Pewter finish were used on upper cabinets to add a touch of olde world style. 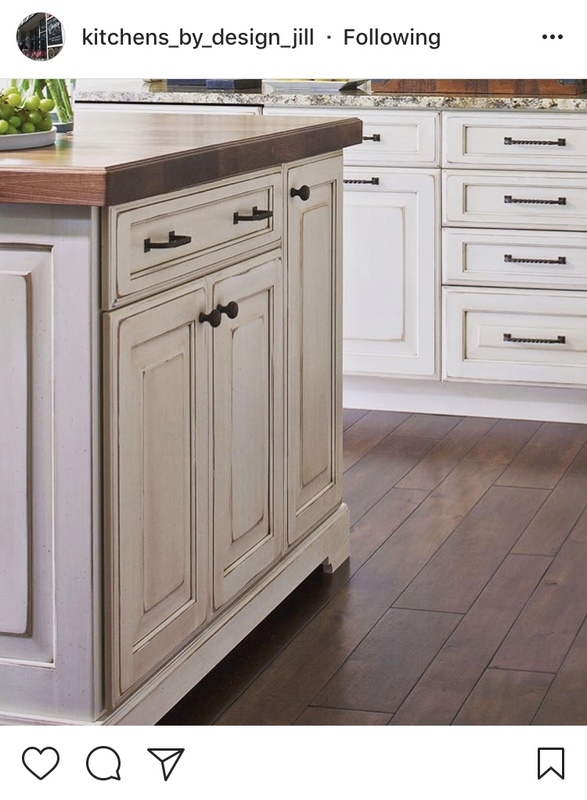 The drawers and bottom cabinets feature Normandy square twist pulls with backplates in a variety of sizes. 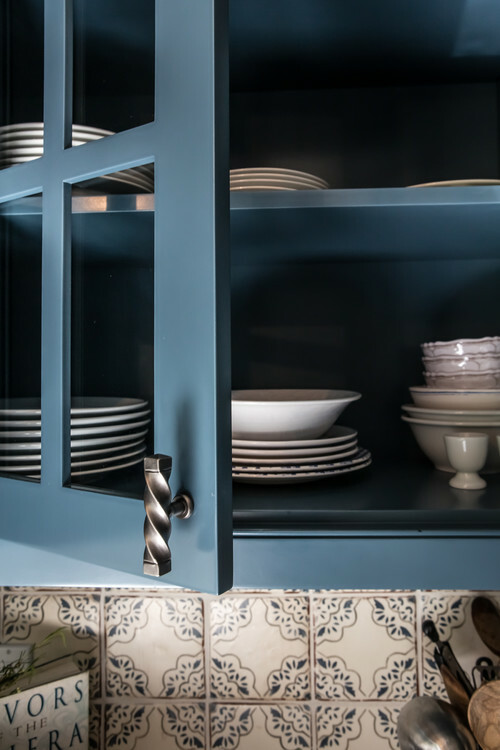 The decorative hardware’s Pewter finish suits the age of the home and looks beautiful with the blue paint. 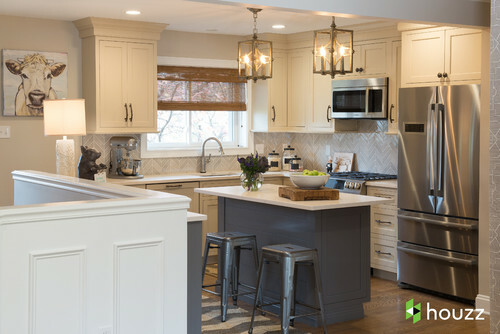 This kitchen was selected as the HOUZZ Kitchen of the Week. 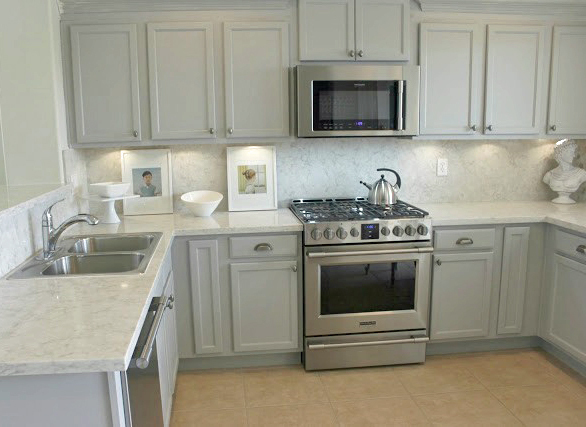 Read more details of complete kitchen remodel on HOUZZ. 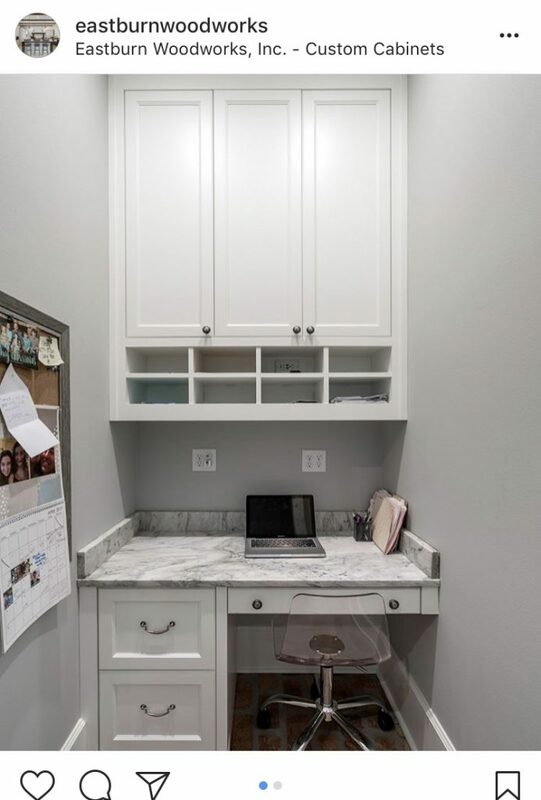 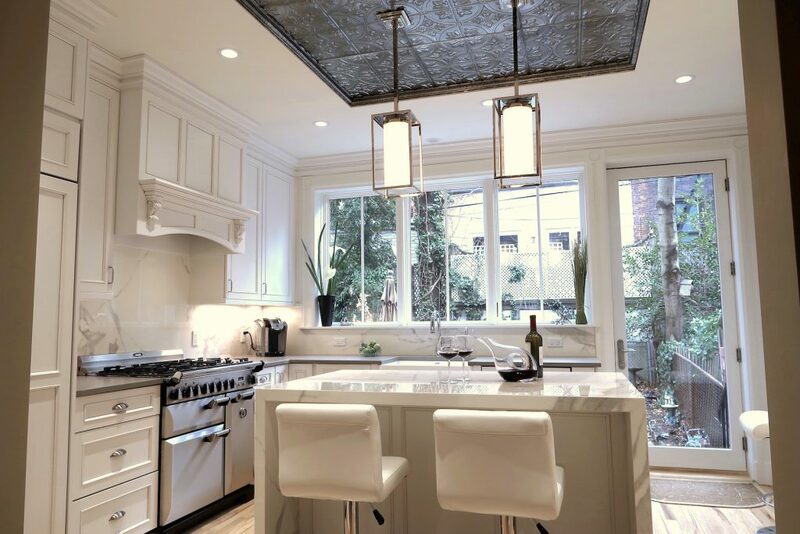 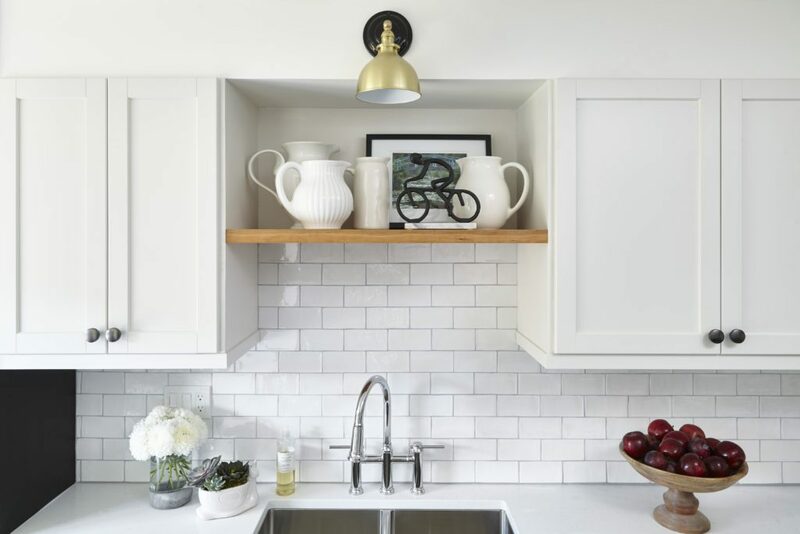 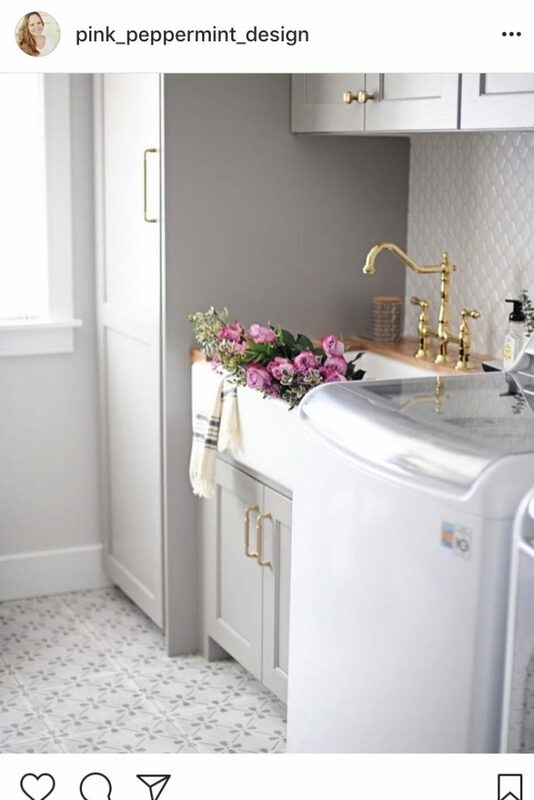 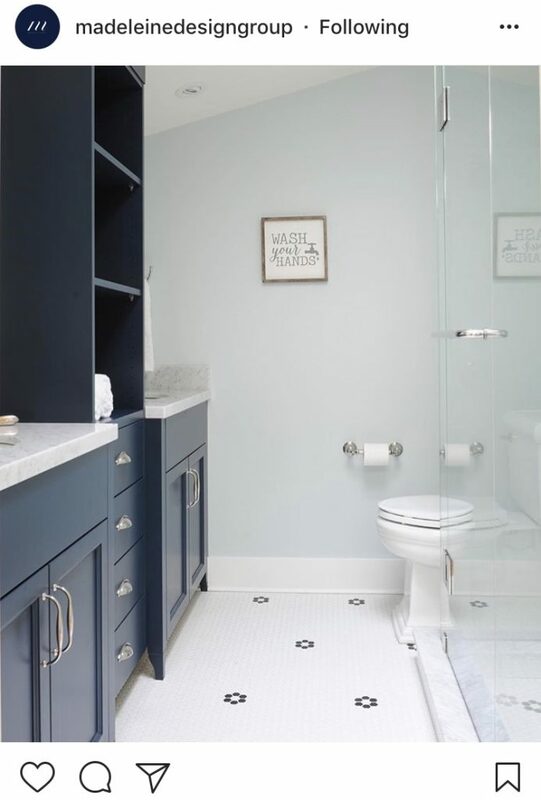 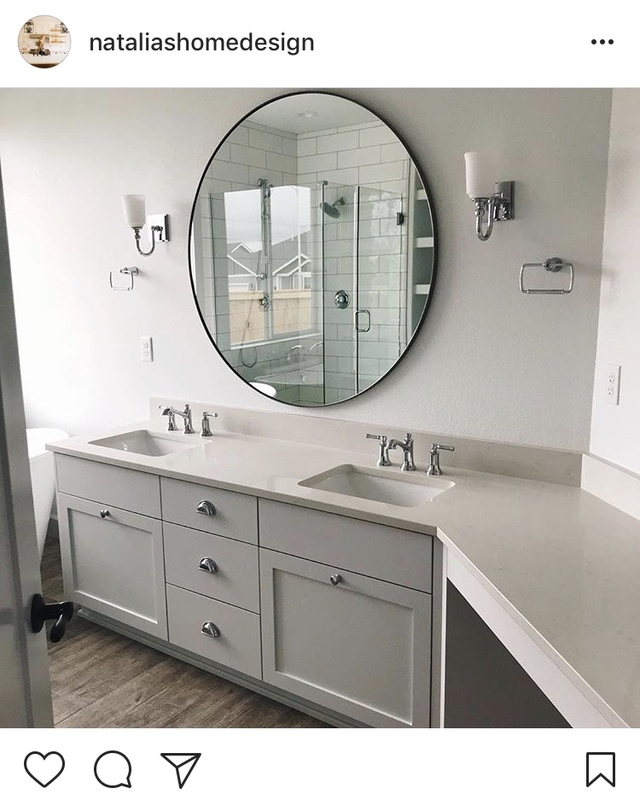 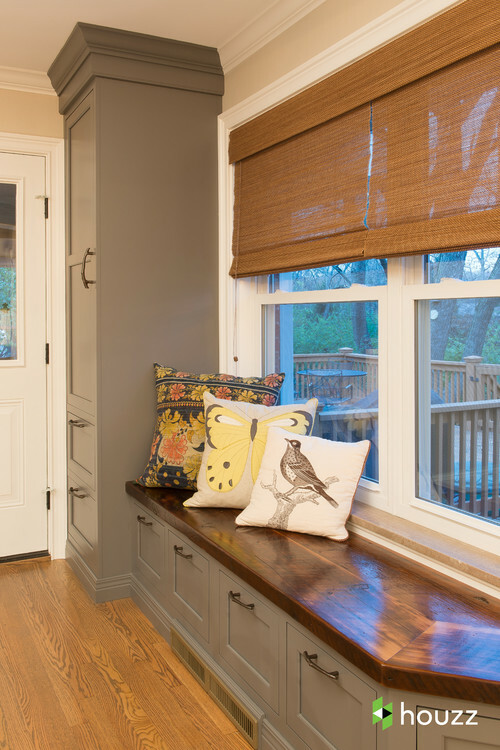 With help from Top Knobs decorative hardware, designer Paul Lintault of the award winning remodeling company BKC Kitchen and Bath transformed a small kitchen into a contemporary space with an abundance of storage options. 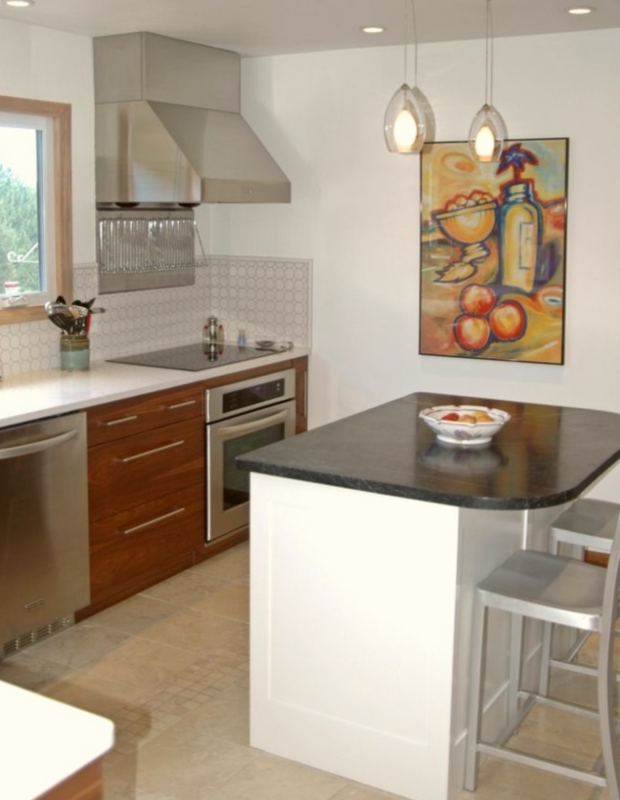 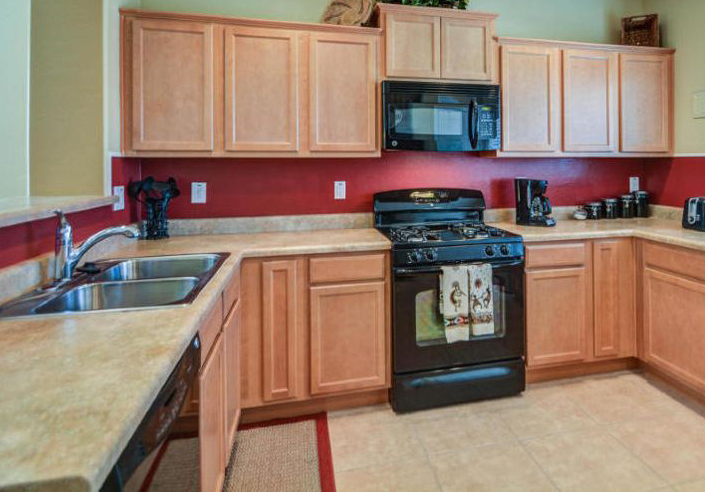 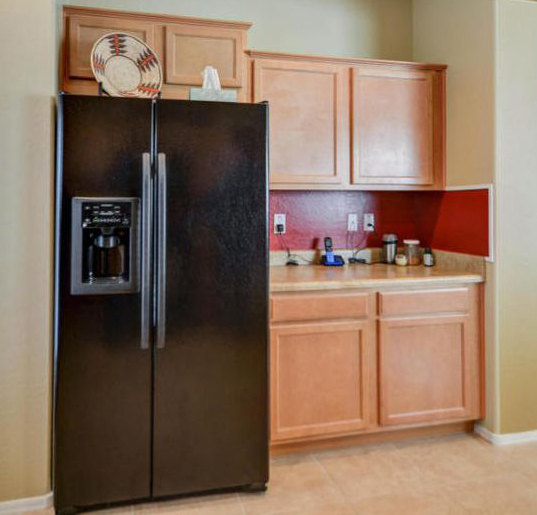 The Larkspur, Colorado kitchen design included modern fixtures and stainless steel appliances. 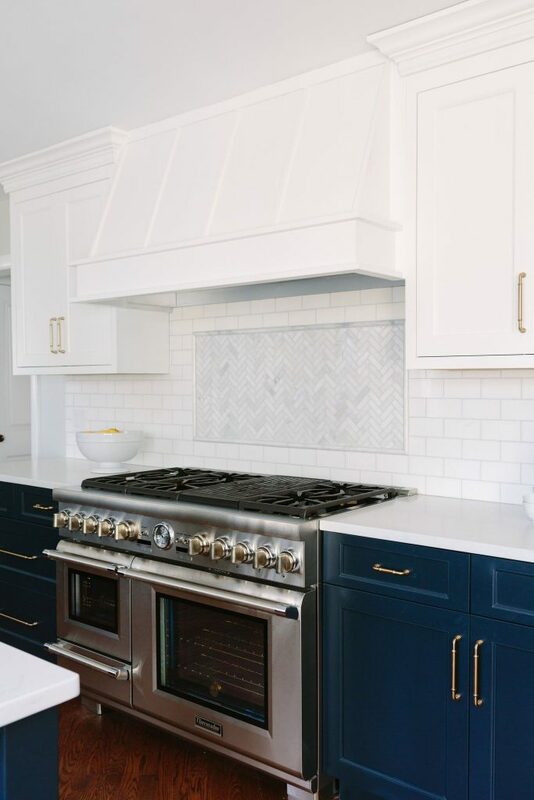 Floors, walls, cabinetry and countertops boasted a neutral color palette while a geometric tile backsplash added a touch of modern flair. 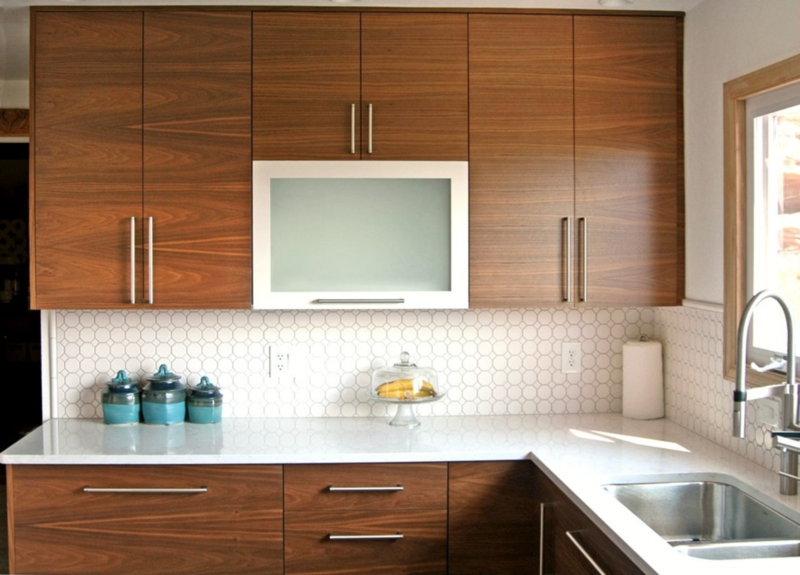 Crystal and wooden style cabinets with Manhattan style doors were installed around the kitchen. 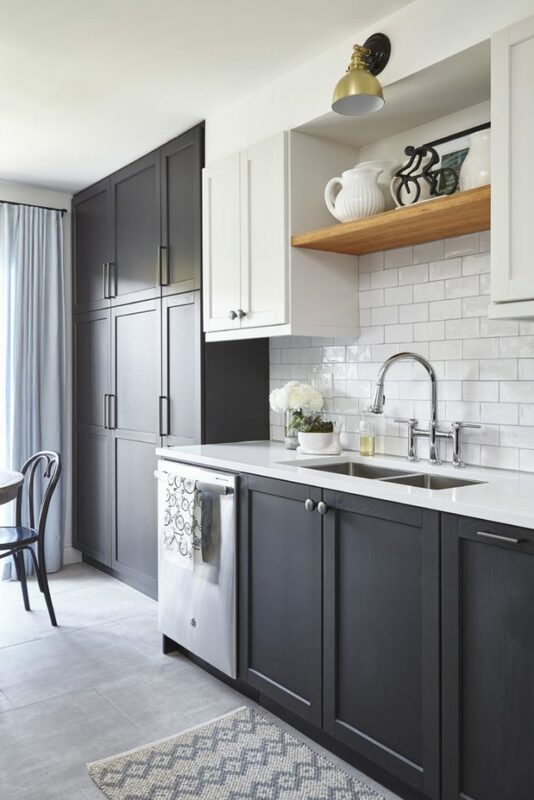 The use of both upper and lower cabinets helped to maximize storage without taking up additional space in the room. Various sized Pennington Bar Pulls from the Top Knobs Bar Pull Collection in Brushed Satin Nickel finish were used throughout the room. 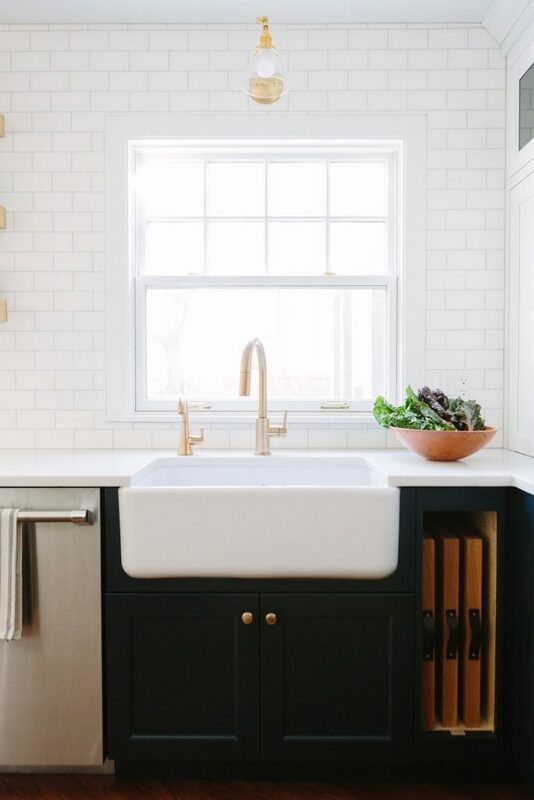 The clean lines of the pulls helped to create a seamless transition between the different shapes and sizes of the cabinets. 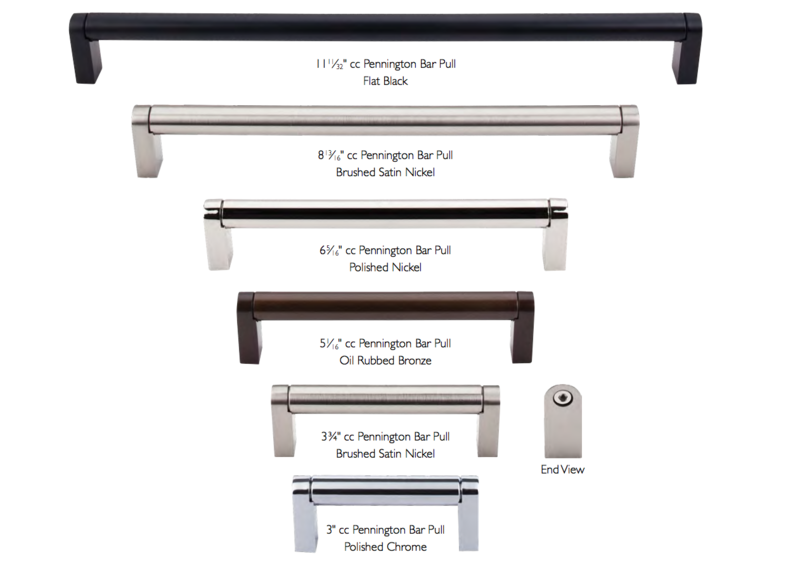 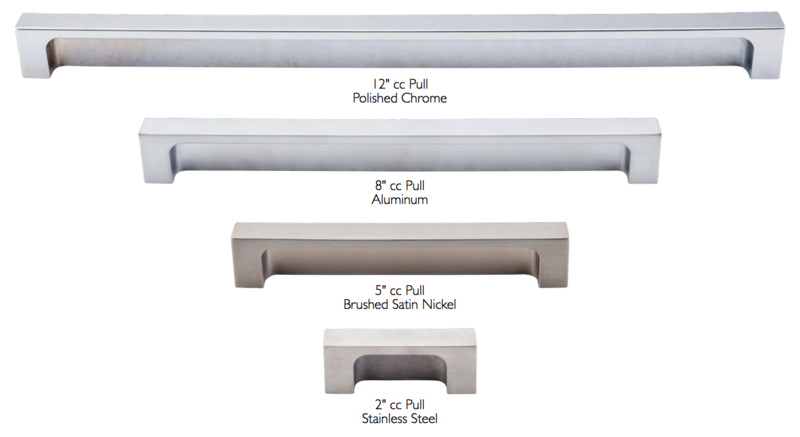 Top Knobs Pennington Bar Pulls are available in 11 sizes and 5 popular finishes such as Brushed Satin Nickel, Polished Chrome, Oil Rubbed Bronze, Polished Nickel, and Flat Black to accommodate virtually any design. 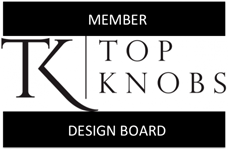 Try them out in your project today with the Top Knobs Free Sample Program. 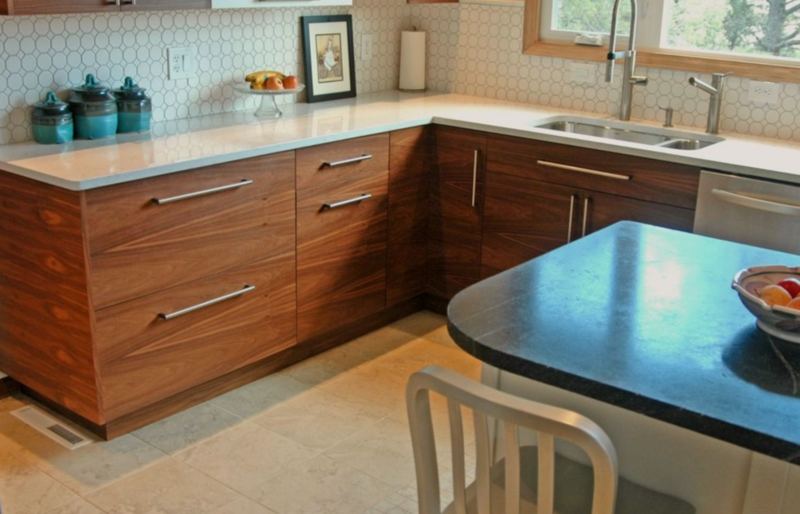 Photos courtesy of BKC Kitchen & Bath on Houzz. 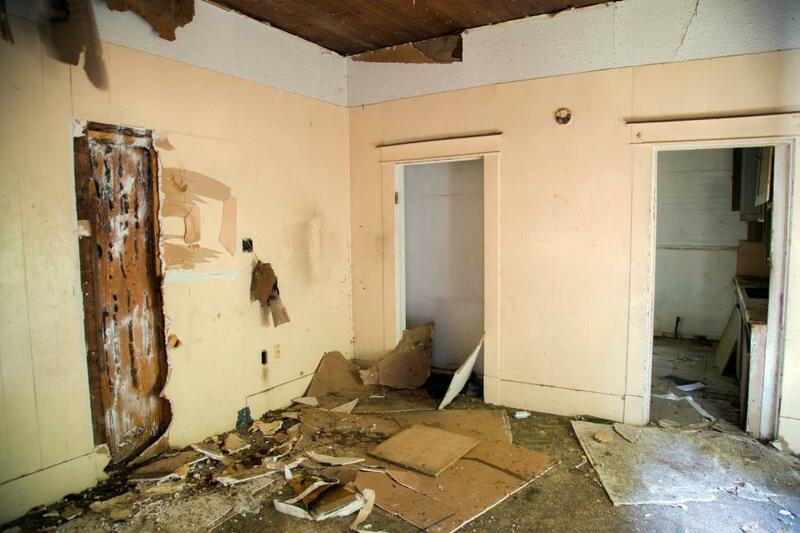 The couple chose to purchase one of the two remaining original shotgun style houses in Waco, Texas – but it required extensive interior and exterior repairs. 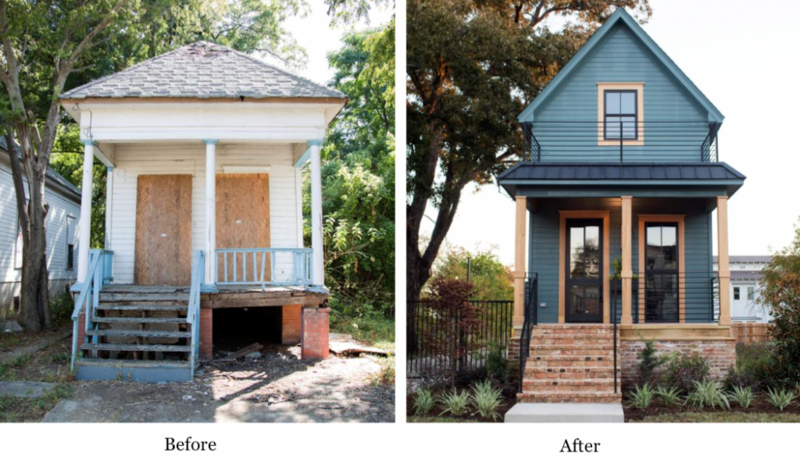 The couple signed on the home, transported it to an entirely new lot across town, and got to work gutting and reframing it. 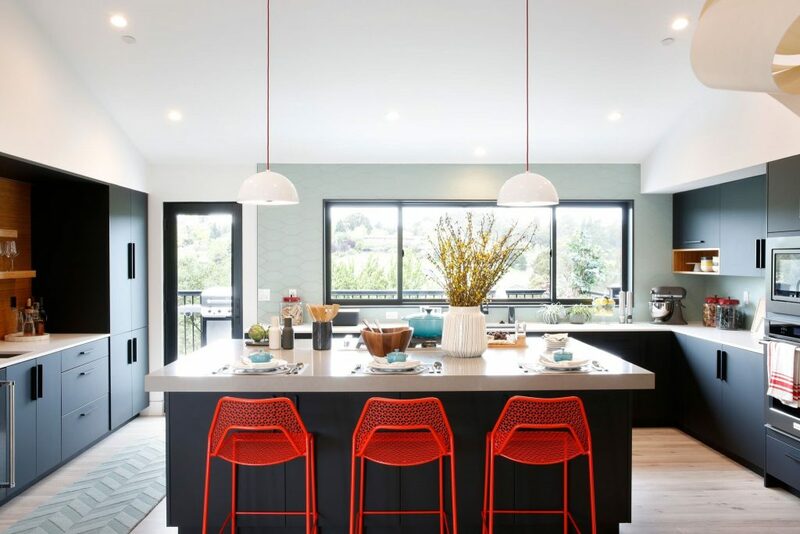 The layout of the kitchen in the home was transformed in the revised floor plan. 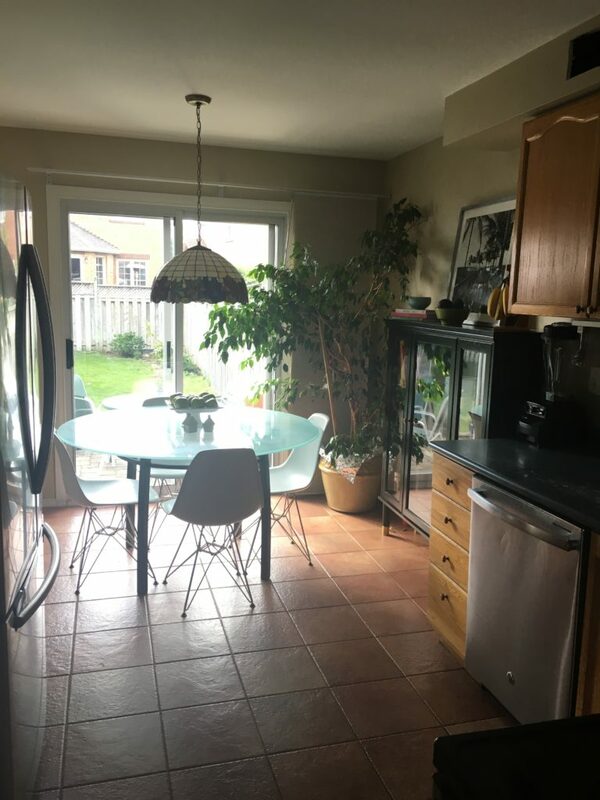 During the construction process the center section of the existing structure (formerly the bedroom) was opened up to become part of the open-concept kitchen. 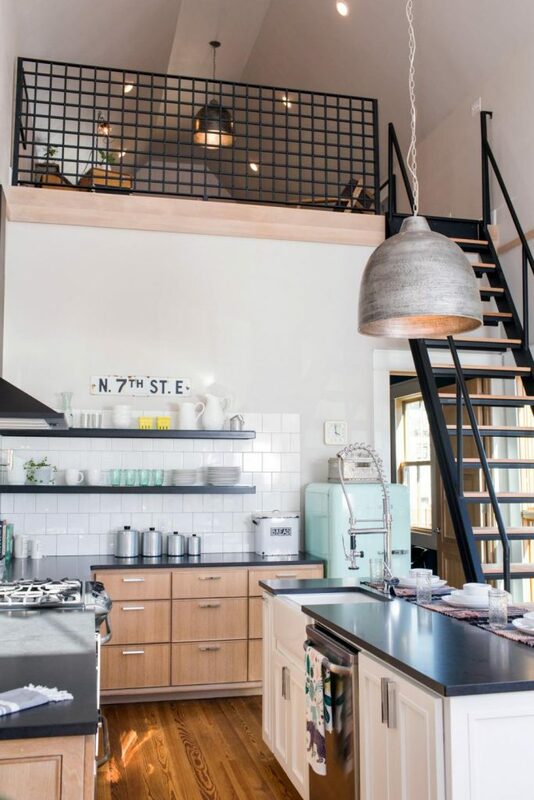 The new kitchen features industrial elements and a clean design. 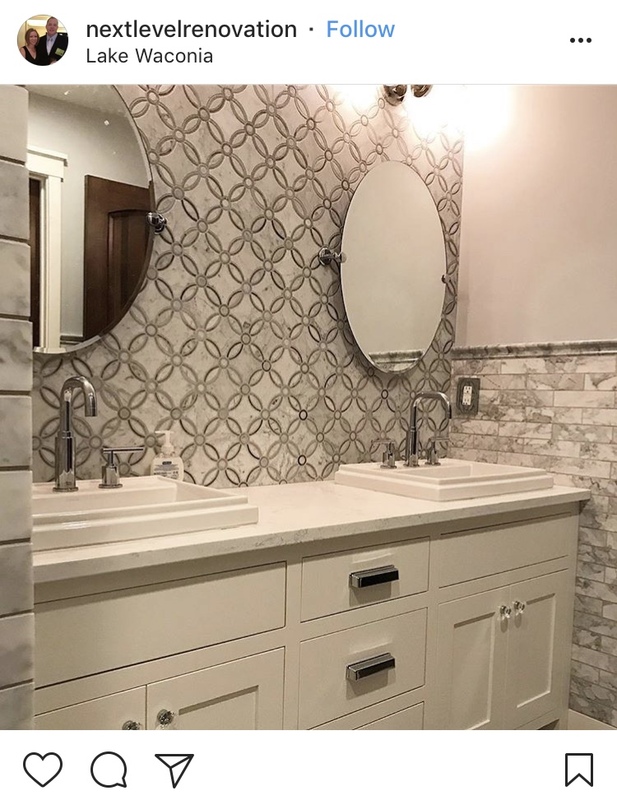 Modern Metro Tab Pulls from the Top Knobs Sanctuary II collection in Polished Chrome were installed on the white oak cabinets. 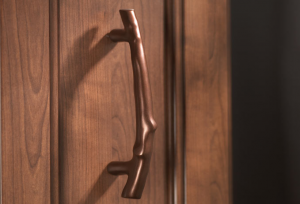 The sleek design on the tab pulls add an additional contemporary touch to the design.